Registration: Download the placement exam found below. Complete and return it to the PYCO School of Music. Payment: Can be made at the PYCO Music Store. 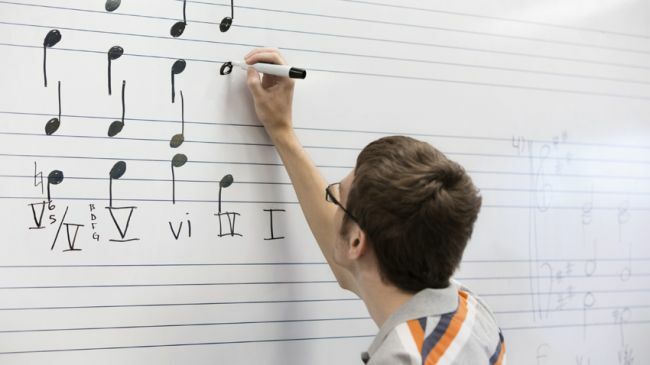 PYCO School of Music offers a comprehensive sequence of music theory courses for student musicians. The broad range of these classes is intended for the beginning student who is looking to learn and apply the fundamentals of Western music or advanced students who are seeking a primer for undergraduate theory. To determine your theory class level, all students are required to take a placement test. More information on the theory sequence can be found in the course descriptions below or by contacting Jeff Weston, director of music theory, at mr.jeffweston@gmail.com.